DAAT Research released Coolit v.15. Did you ever run out of graph paper? 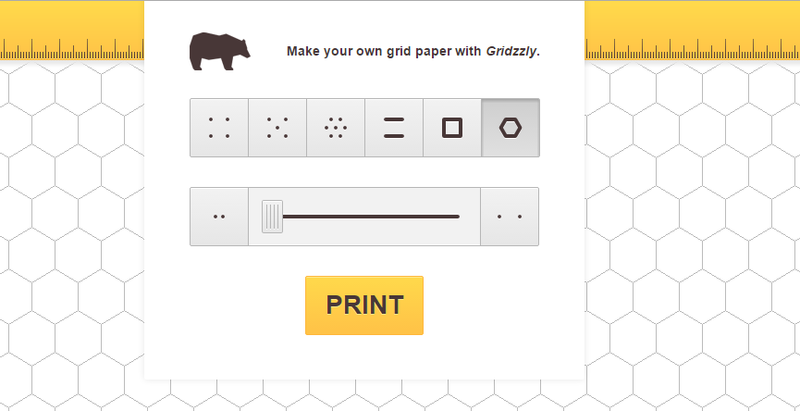 You can print your own customizable grid paper using Gridzzly.com. Van Oossanen Naval Architects’ growing CFD services was part of the reason behind their rebranding as [just plain ol‘] Van Oossanen. SHIPFLOW is now available on the ReScale platform. Altair released SimLab 14.0, their highly automated FEA modeling environment. Our friends at CD-adapco will probably love this polyhedron grid paper from Gridzzly. Students can get free, cloud-based access to Altair HyperWorks by filling out a brief form to become an Altair University User. simulationHub is a new cloud-based fluid flow simulation CFD app for designers. One of my concerns about CAD/CFD/meshing on mobile (i.e. touch screen) devices is accuracy and precision. Siemens PLM Software’s Catchbook seems to have addressed some of those issues for sketching. I recently posted here a link to the results of the Worldwide CAD Trends 2015 survey in which we see simulation way up in the “high importance, high usage” quadrant [huzzah] and other things including cloud-based CAD down in the “low importance, low usage” quadrant. But the Beyond PLM blog says that’s OK and goes on to introduce a wonderful variant of a Henry Ford quote [that I will shamelessly steal]. Can any of my aero friends shed some light (no pun intended) on the F-16 Scamp, shown here in a NASA wind tunnel in the early 90s? Image from io9. Click image for link. CEI announced Andrew Hobbs from Astec and their own Dave Bremer as keynote speakers for the EnSight Japan User Group Meeting. CEI’s EnSight News for October noted the pending release of EnSight 10.1.6 with Oculus Rift support, parallel pathlines, and more. From Advances in Water Resources comes the technical paper Terrain-Driven Unstructured Mesh Development Through Semi-Automatic Vertical Feature Extraction. 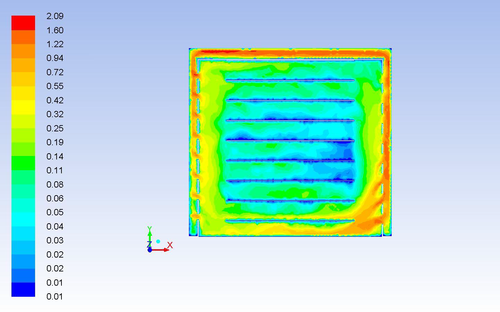 CFD is being used to study circulation around plant trays for vertical farming. Velocity contours of fan-driven flow around a plant tray in a vertical farm. Image from Design News. See link above. Artist Stephanie Calvert used materials found in her parents’ dilapidated, rural Colorado home to create works that helped her process her upbringing and her mother’s recent accident. Exploring themes of order and chaos, works in her Shame to Pride exhibition will open in NYC on 12 November. You can see and hear Ms. Calvert’s story in a video she produced about Shame to Pride. 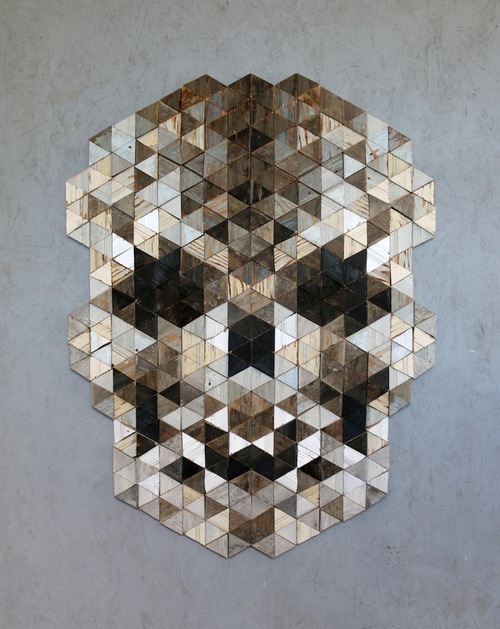 Stephanie Calvert, Third Life, 2014. See link above. If you can’t see the Halloween theme in the image above either squint at it or scale down the image. This entry was posted in Applications, Events, Hardware, News, Software and tagged Altair, Catchbook, CFD Engine, Coolit, EnSight, meshing, Shipflow, Siemens PLM, SimLab, simulationHub. Bookmark the permalink. The scamp is the F-16XL. But the inlet looks different and I didn’t think the XL used a different one. Is that due to an engine change? Thanks, Mike. I’ve bookmarked the ebook for future reading. I was going to print it but 288 double-sided pages was a bit more than I wanted. So I’ll have to figure out how to get it on my Kindle. Thanks for the URL, f-w.